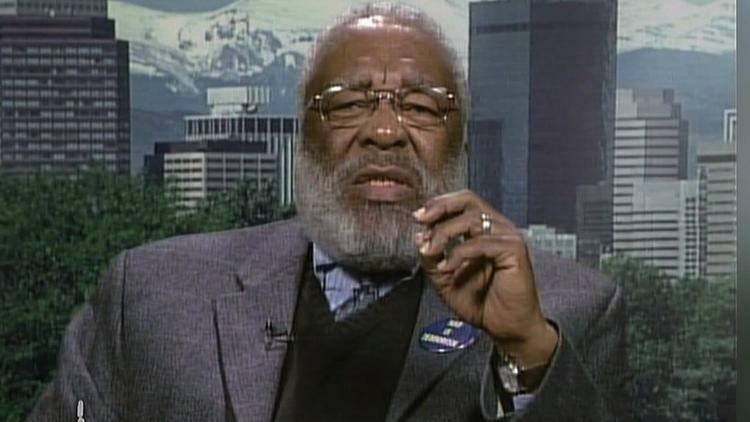 Historian by profession and relentless nonviolent advocate by calling, Vincent Gordon Harding died on Monday, May 19, at the age of 83. The author of a series of books on the civil rights movement — which he called the Southern Freedom movement — he not only wrote history, but also played an active part in the struggle to make and remake it. Harding worked with the Student Nonviolent Coordinating Committee, the Southern Christian Leadership Conference, and the Mennonite House in Atlanta, an interracial voluntary service. As part of the Albany, Ga., movement, he was arrested for leading a demonstration at the city hall in 1962. He became a strategist for the movement, and drafted Martin Luther King’s historic 1967 anti-war speech “Beyond Vietnam,” which King delivered at Riverside Church in New York City one year to the day before his assassination. Harding completed his Ph.D. in History at the University of Chicago in 1965 and accepted a teaching position at Spelman College in Atlanta. In 1990 he published Hope and History, a text that stressed the importance of telling and teaching the story of the freedom struggle. Later he became professor of religion and social transformation at Iliff School of Theology in Denver, where he founded Veterans of Hope, a project focused on documenting and learning from struggles for nonviolent change, healing and reconciliation. Even as he retired from formal teaching, Harding accelerated his efforts for social change. He co-founded the National Council of Elders, crisscrossed the country giving talks and interviews, and made an historic trip to Palestine in late 2012. He and his wife Aljosie Knight were teaching at Pendle Hill Quaker Center for Study and Contemplation in Pennsylvania when he was stricken with an aneurism near his heart, which led to his death in a Philadelphia hospital. I didn’t get to know Harding until later in my own life. Sometime in the 1990s I read his terrific introduction to the reissue of Howard Thurman’s 1948 classic, Jesus and the Disinherited, a groundbreaking study of Jesus’ active nonviolence that had deeply influenced King’s theology and activism. But I didn’t meet him until five years ago, when he agreed to give the keynote at Pace e Bene Nonviolence Service’s 20th anniversary celebration. Rather than delivering a formal address, he made some powerful opening remarks and then threw it open to the rest of us, offering a few choice prompts to facilitate what turned out to be an exhilarating and very rich conversation ranging across the assembly. Throughout this dialogue, Harding’s presence — searching, formidable and relentlessly inviting — not only held the space, but also transformed and deepened it. From then on we stayed in touch. I came to experience, over and over again, the graciousness, clarity, tenacity and nonviolent power Harding had come to — and that he ceaselessly shared with anyone who crossed his path. If the central hallmark of principled nonviolence is an awareness of the oneness of all being, Vincent Harding had thoroughly internalized this. He lived this by endlessly affirming a deep resilient spirit of familial connection with all. Everyone was sister, everyone was brother. There was a stretch where we got on the phone regularly to plot the creation of a new nonviolence project. While nothing ever came of this, the two of us were given the chance to teach a weeklong class together in 2011 at Soka University in Orange County, California. Harding had been the senior advisor on public television’s Eyes on the Prize series — the magnificent, 12-part program on the civil rights movement — and he decided to use it to anchor the course, which he titled, “Whose Eyes on What Prize Today?” Day after day the small class of 10 students was treated to a powerful opportunity not only to retrace the steps of the Southern Freedom movement — from Montgomery to Mississippi, from Selma to Chicago — but also to sit in the midst of one of the agents of change that had played a critical role in that movement. In our Southern California classroom decades later, Harding communicated the reality of this historic struggle through detailed historical commentary, as well as stirring personal ruminations. Nothing that week moved me more than his reflections on Birmingham. After setting out a clear exposition of the campaign’s goals and tactics for the students — all of whom were born some four decades after these events — Harding shifted gears and unexpectedly got more introspective than usual. He shared how one morning during the campaign he was unable to join a line of people as they were moving forward to engage in nonviolent civil disobedience because he was taking care of his six-month-old daughter Rachel. He nevertheless stood tenaciously in the line holding her until the very last possible moment, when he reluctantly moved away from the others. As he recounted this story many years later, Harding’s eyes welled up and then he began to openly weep. There seemed to be so much in those tears. The poignancy of his necessary choice; the power of the action itself; the love for his child; the raw emotion at the injustice they were confronting and, in so many ways, were still confronting; and, perhaps, the seismic power of the drama of nonviolent change and the wellspring of feelings it can inspire, washing across the decades — and now, all those years later, touching and inspiring us anew. Vincent Harding was both an historian and a maker of history. His calling was to write history, but also to confront history and, in the end, to join with others in breaking the seemingly immutable constrictions of history. For example, the last time I saw him was last August at the Wild Goose Festival near Asheville, N.C., where — in addition to making an appearance on the main stage to be interviewed by On Being’s Krista Tippett before several thousand people — he joined a more humble gathering in one of the other tents on the premises. There was Harding, adrift in the crowd, engaging in small group discussions and taking part in role-plays for the next nonviolent struggle tackling war, poverty and the climate crisis. My colleague L.R. Berger was a very good friend of Harding’s. She tells me that when she spoke to him on the phone, he said he had profound peace and was embraced in love. “And,” she said, “he was hopeful.” Harding was a veteran of hope to the end, which may be his greatest gift and example to us all in this time when hope is needed more than ever. In many forums, he advised us not to canonize King. It is too easy to set him apart from the rest of us and thus to ignore the gritty, unfinished business there is to do. King was, as Harding titled his book about the civil rights leader, The Inconvenient Hero. In this same spirit, Harding would no doubt assiduously resist his own canonization. Nevertheless, it is right and good to lift our voices in gratitude so that this teacher, mentor and practitioner of active and powerful nonviolence be given his due.